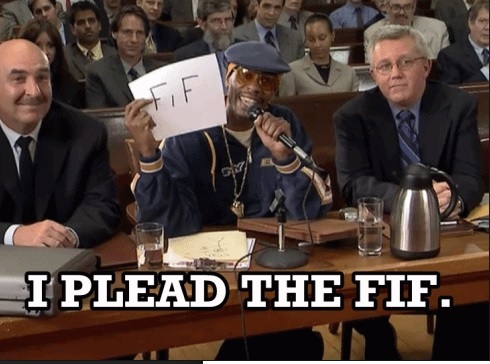 The phrase, “I plead the 5th,” is bandied about a lot in television and movies, and most people have a general notion that it has something to do with the right to remain silent and refuse to answer questions. Specifically, the Fifth Amendment to the United States Constitution provides in relevant part that “[n]o person shall be . . . compelled in any criminal case to be a witness against himself. . . .” In Massachusetts, Article 12 of the Massachusetts Declaration of Rights similarly provides that “[n]o subject shall be . . . compelled to . . . furnish evidence against himself.” So, how does the court system ensure that the right not be a witness against oneself, or to furnish evidence against oneself is protected? One example is the case of Commonwealth v. Botelho. Botelho was a 2014 Massachusetts case in which the defendant was charged with second offense operating while under the influence of alcohol (OUI 2nd). The jury convicted the defendant after a trial in which he did not take the stand and testify, and the defendant appealed the conviction, arguing that the judge’s failure to instruct the jury that they are forbidden from holding the defendant’s silence against him – or to even consider it at all for any purpose – was erroneous, and created “a substantial risk of a miscarriage of justice.” It should be noted that the defense attorney had requested that the judge give the jury instruction. A judge is not required to give that particular instruction unless asked to do so by the defense. On appeal, the Massachusetts Appeals Court noted that “[w]hen a defendant requests an instruction regarding his election not to testify, the trial judge must give an instruction that minimizes the risk that the jury will draw an adverse inference from his election.” Carter v. Kentucky, 450 U.S. 288, 305 (1981). The Appeals Court then reasoned that, even though the judge did inform the jury that the burden of proof was on the government, and that the defendant did not have to produce any evidence at trial, nevertheless, the instruction was inadequate, because the judge did not specifically instruct the jurors not to consider the defendant’s silence. The Appeals Court recognized that the judge’s error was compounded in that case by the fact that the defendant’s allegedly slurred speech was an issue at trial, and the fact that the prosecutor’s closing argument reminded the jurors that the only witness they heard from was the arresting police officer. In 2015, as a result of the judge’s failure to properly instruct the jury, the Appeals Court overturned the defendant’s conviction. Thus, the defendant’s rights under the 5th Amendment to the U.S. Constitution and Article 12 of Massachusetts constitution were acknowledged, and the government was not allowed to encroach on those important rights.